Spacious 5 bedroom, 5 bath home with over 5000 sq ft of living space, situated on more than 2 acres, in a great Godfrey location! Enjoy cooking and entertaining in the large kitchen with stainless appliances (including a brand new gas range), center island, built in desk, butler's pantry and tons of cabinet space. Cozy up by the gas fire place on cold winter nights in the family room! This home offers a formal dining room, and a living room. 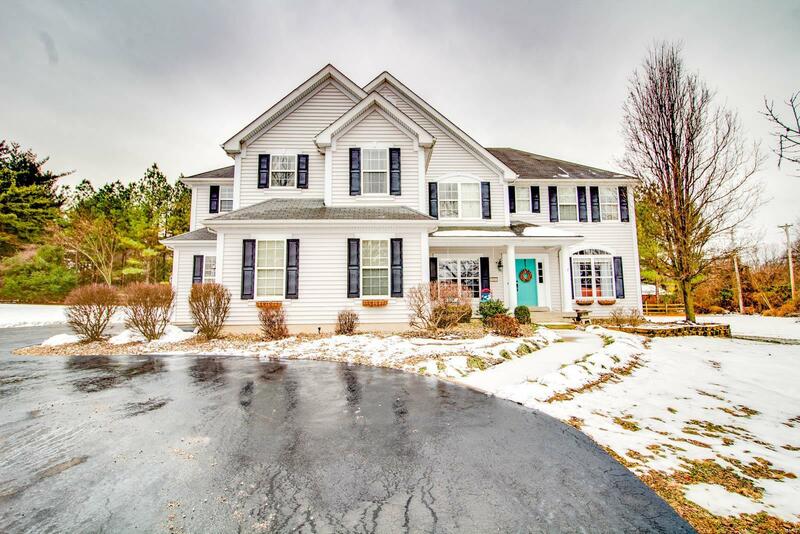 Crown molding, 9 ft ceilings, built in shelving, cherry hardwood floors, central vac, over-sized 3 car garage and main floor laundry are just some of the great features of this beautiful home. The expansive master suite has plenty of space with a large master bath and huge walk in closet! 4 additional bedrooms with walk in closets and 2 bathrooms upstairs! Enter the lower level for more living space and plenty of storage! This home is located close to parks, schools, and shopping! Home Warranty provided. Schedule your appointment today!